On Friday, April 28, Centennial students showed off their team spirit for the last day of Prom Spirit Week, Jersey Day. Students wore their favorite sports teams jerseys to school. Whether it be football, soccer, basketball, or any sport you could think of, everyone wore something to show their spirit. As Spirit Week comes to a close, students look forward to a fun and safe Prom. On Thursday, April 27, Centennial students and staff participated in Color Day. Seniors were decked out in red, juniors dressed in white, sophomores represented in blue, and freshmen showed out in black. Color Day is a highly anticipated spirit day as students can wear tutus, tights, glitter, and bandanas. The pre-Prom spirit will continue on Friday, April 28, with Jersey Day. Monday, April 24, marked the first day of Prom Spirit Week. The students kicked off the week by dressing up in groutfits (gray outfits). Groutfit’s have become more popular recently, and so students excitedly showed their spirit dressed in comfortable gray outfits. 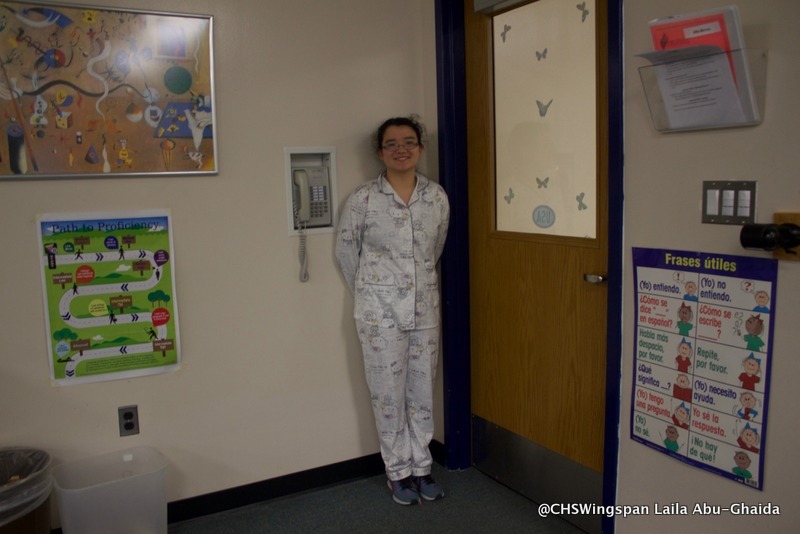 These outfits usually involve students wearing sweatpants and sweatshirts, but students and teachers took their own twist on the day. In addition to Groutfit Day, Monday was also Grim Reaper Day, which was organized by Eagle Ambassadors. The Grim Reaper and school officer came into the classes of the students who volunteered and told the class that that student had died in a car accident. The officer, Grim reaper, and student would then go outside of the classroom and the student’s face would be painted to resemble a ghost. These students then came back to class and represented victims of car accidents. They were given t-shirts that said how they died, varying between texting or drinking and driving. Once they became victims, the students were not allowed to speak for the rest of the day. The point of Grim Reaper Day is to spread awareness about the consequences of distracted driving and driving under the influence. Spirit Week will continue on Tuesday, April 25, with Tourist Day. On Wednesday, April 19, the Centennial Eagles Tennis team hosted the Atholton Raiders. It was a good day for the Eagles, as the boys won 4-1, and the girls won 5-0. As of now, the boys are in third place, with an undefeated in-county record of 8-0, and the girls are ranked fifth with an in-county record of 6-2. The Eagles’ next match is Friday, April 21, against the Oakland Mills Scorpions.